3 Bedroom End of Terrace House For Sale in Heathfield for Asking Price £230,000. A very well presented, three bedroom, end of terrace house offering a private garden, off street parking and a garage. 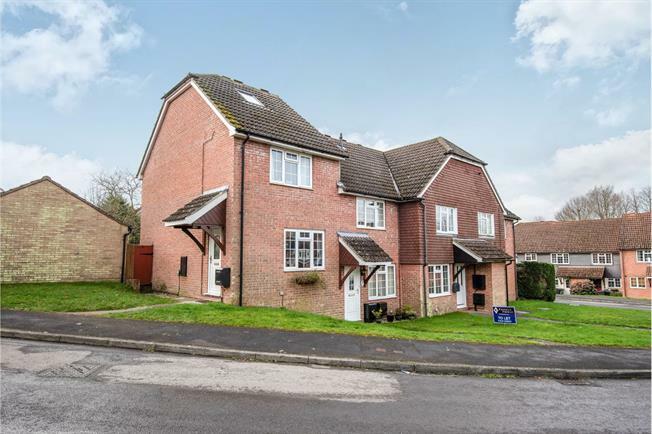 Located in a popular cul de sac in Heathfield with easy access to the Cuckoo trail and only a short stroll from the town. The property has been extended into the roof space by the current owners and now offers three good size bedrooms, served by a modern family bathroom. On the ground floor the main reception room has been knocked through to the kitchen to provide open plan accommodation, ideal for a small family. The property features a recently installed kitchen, double glazed windows and a gas boiler, it also benefits from very recent re-decoration. To the rear of the property there is a private, South facing garden which is mainly laid to lawn and is a particular 'sun-trap'. From the garden, access leads to a garage en bloc and parking in front.